The most southern country in the Nordic group, Denmark is also one of the most developed states on the continent of Europe. It's situated in the Jutland Peninsula, just north of Germany, at the meeting point between the Baltic Sea and the Ocean. Denmark is also a kind of semi-insular state, with 443 islands incorporated in its territory. Denmark is situated in Northern Europe, Denmark is one of Scandinavia?s most beautiful and scenic countries, offering excellent scope for hire car touring. Let your Denmark car hire experience take you through a landscape of lush patchwork farms, sapphire lakes and silky soft beaches. For the ultimate Danish car hire experience, be sure to take a drive along the magical Margueritruten, a 3500km stretch of road that takes in one hundred of the country?s top attractions. Denmark is a modern, progressive nation, which boasts some of the most beautiful cities in Europe. A visit to the capital, Copenhagen is a definite must. The city is guaranteed to captivate all who visit with its cobbled medieval streets, magical Tivoli Gardens and iconic Little Mermaid statue. It?s also a great place to shop, boasting an excellent range of designer boutiques and stylish furniture stores. Nearby Lego Land, with its charming brick people makes for a fun car hire excursion, especially if you?ve got children in tow. 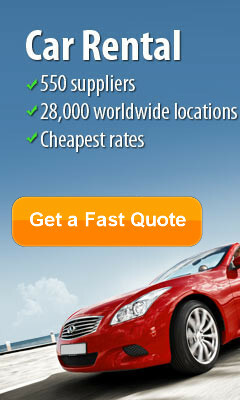 Let City Car Rentals Denmark take the legwork out of your Denmark car hire experience. 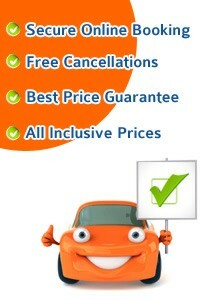 We?ll find you a great deal! Denmark is a land steeped in history. In terms of visitor attractions, the Danes have gone all out in displaying their rich cultural heritage to the world. Superb Viking museums and visitor centres are to be found at Roskilde and Ribe, while carefully preserved medieval castles such as Egeskov near Odense and Kronborg Castle at Helsing? are a pleasure to explore. Denmark has a mild, temperate climate, meaning it doesn?t experience extremes of hot or cold weather. In summer, Danes enjoy pleasant temperatures averaging 19?C, while the winter thermometer rarely dips below 0?C. Stunning, unspoilt scenery, a fascinating history and vibrant, buzzing cities-Denmark has it all. Driving through Denmark, you?ll discover there?s a lot more to the country than sticky pastries, giant dogs and Hans Christian Anderson. City Car Rentals?s cheap rates and extensive choice of locations allows you the freedom to explore everything that this splendid Scandinavian country has to offer at your own pace. The main tourist destination of Denmark is Copenhagen. This should also be the starting point of your road trip. 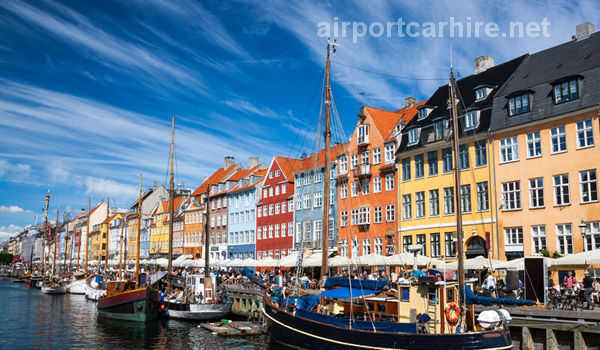 Car rentals are available everywhere in the Danish capital, as well as in the airport. It's good to know that cars rented from Germany or Sweden can also be driven in Denmark. Copenhagen is one of the biggest and most spectacular cities in northern Europe. The most important tourist attractions here are the Stock Exchange, the Friedriksstaden - one of the most important Rococo complexes in Europe and an inspiration for architects around the world - and the Rosenborg Castle, the summer residence of the Danish Kings. But the streets of the city are generally pleasant to just get lost on. The Rundetarn (the Round Tower) is another interesting sight in Copenhagen. A good belvedere point, this 17th century building houses a circular ramp (not staircase) leading up to what used to be an astronomical observatory. The Nyhavn colorful waterfront and the adjacent port should also not be missed. Despite its rugged terrain, Denmark can easily be crossed from east to west and north to south, many times on spectacular bridges and tunnels. Some of the bridges in Denmark are the longest in the world. The Oresund Bridge, connecting Denmark and Sweden, is in the top 10, for example. Crossing from the island where Copenhagen is situated to the mainland is done using another spectacular series of two bridges. Driving on these wonders of technology is spectacular - 6 to 8 km of road suspended above the sea; imagine that! The only problem is the toll you pay to cross these mammoths - most of the time, it's incredibly sharp (to reach the mainland, for example, each car has to pay a fee of 33 euros each time it crosses). The island of Fyn, the closest one to the mainland is home to the city of Odense, one of Denmark's biggest and oldest. Consider stopping at least for a few hours and visit the birthplace of the famous Danish writer, Hans Christian Andersen. If you have time, make a detour towards the south of the island and visit the splendid Egeskov Castle and surrounding gardens. On the mainland, the first thing you should visit is the famous Legoland theme park, located near Billund Airport, in the center of the Jutland Peninsula. It might seem like a childish thing to do, but believe me, it's great fun! Finally, our tour of Denmark ends in Aalborg, way up north, near the tip of the peninsula. A port city itself, Aalborg has a minimalist waterfront that contrasts extremely with the one in Copenhagen. The town is small and confortable, if I can say so - small streets, old houses, hidden museums, lots of Akvavit (the Danish - and Norwegian - national drink). Enjoy! Seats 5 passengers and the capacity for 2 flight sized carry-on bags, this air-conditioned is ideal for families or groups looking to arrive in style at their destination. New design Hyundai Accent engineered to deliver performance and quality with over 54 MPG A wonderful subcompact economy car. The advanced design and technology gives an invitation to experience superb driving dynamics.